I had a wonderful May and June. It was a whirlwind of family Simchos and I was able to visit with most of the family. The kids are going to be okay. Rabbi Jonathan Gross, Rov of Beth Israel Synogague, Omaha, NE and my cousin. Rabbi Abraham Kelman, Rov of Prospect Park Shul, Brookyn, NY. Rabbi Kelman inspired me to learn about Kotzker Chassidus and is a cousin via marriage to me. Rabbi Yitzchok Wasserman, Rosh Hayeshiva of Yeshvia Toras Chaim, Denver, CO. Rabbi Wasserman is a cousin of Rabbi Avrohom Kelman, who is a cousin to me via marriage. Rabbi Zev Reichman Rov of the East Hill Synogague, Englewood, NY and RAM in YU. Rabbi Barry Freundel, Rov of Kesser Israel in Georgetown, D.C. Kesser Israel was the first great Shul across America I attended in 1978 when Rabbi Israel Rabinowitz was Rabbi. Rabbi Avrohom Yitzchok Levin of Lower Merion, PA, grandson of the holy Rabbi Aryeh Levin. Rabbi Avrohom Yitzchok Levin was the first child named after Reb Avrohom Yitzchok Kook, after Rabbi Kook passed away. Rabbi Chaim Dovid Janowski of Coral Springs, FL, RAM in the Lubavitch Yeshiva in Coral Springs, FL and my nephew. May 7, 2013 -Brooklyn, NY. Being honored by Yeshiva Toras Chaim. Highlight was giving Ephraim Chase and Rabbi Yitzchok Wasserman shoes. June 9, 2013 – Lakewood, NJ. 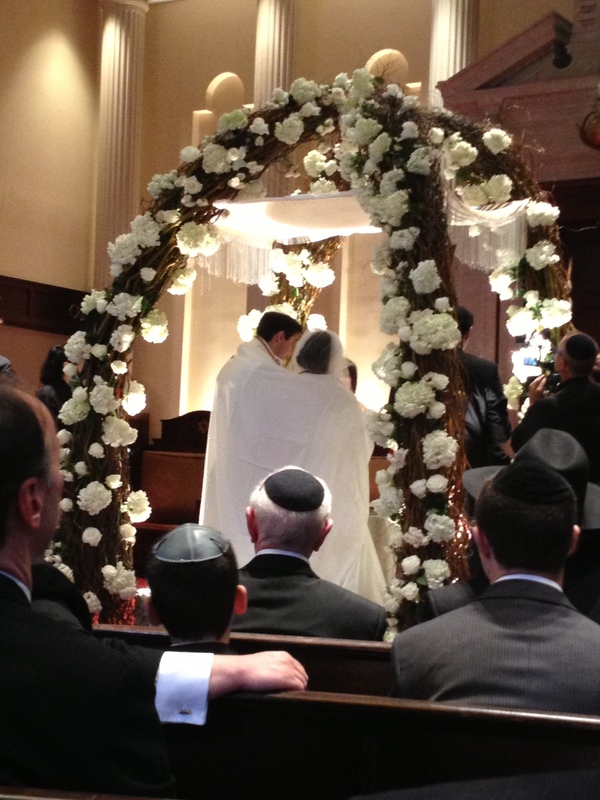 Chana Tzipora Saltz’s wedding. א וַיָּבֹאוּ בְנֵי-יִשְׂרָאֵל כָּל-הָעֵדָה מִדְבַּר-צִן, בַּחֹדֶשׁ הָרִאשׁוֹן, וַיֵּשֶׁב הָעָם, בְּקָדֵשׁ; וַתָּמָת שָׁם מִרְיָם, וַתִּקָּבֵר שָׁם. 1 And the children of Israel, even the whole congregation, came into the wilderness of Zin in the first month; and the people abode in Kadesh; and Miriam died there, and was buried there. What is unique about this Verse? The Bible portion before this Verse is about the laws of the Parah Aduma, the Red Heifer. That Bible portion and everything before this verse in B’Midbar (Numbers) took place in the second year of leaving Egypt. The previous verse to Chapter 20, Verse 1 was the final verse of the laws of the Red Heifer. The very next verse, Chapter 20, Verse 1 takes place 38 years later. In one verse 38 years pass, seemingly uneventful. There is zero mention in the Bible as to what happened during these 38 years. People lived their lives, had children, got married, mourned their losses, but nothing eventful happened that the Bible felt it was important to mention. Compounding this is the first story in year 40 is the death of Miriam. This makes sense as the Bible is telling us of the passing of the old generation to make way for new leadership. However, Miriam dies and there is no water. Over 3 million people are dying of thirst. The same complaints heard 40 years ago by their parents, are echoed by the children, Why did you take us out of Egypt. This is followed by Moshe hitting the rock and not speaking to it, saying, “listen you rebels” and Moshe being punished. Tough times again. Nothing changed. To me the simple but unsatisfying answer for the second observation and without looking at the Commentators is that life is tough. Nothing changed. Despite the fact that the Jews had all their needs met in the desert for 40 years, they still had to live life and life is not idyllic. I will say that in our day and age, for many people life has never been this good. However, don’t ever think that you can float by in life. Life will always catch up. I told the below to Rabbi Lopatin and he did not think I was correct. However, the below is my gut feel. Time passes. Whether we live for 20 years or 80 years, after those 80 years life ceases and your 80 years is no different than that of another person living for 20 years, both are gone. Sometimes a full life is 20 years, sometimes 80 years, and sometimes one day. The quality is the same. We know that someone can acquire merit in the world to come in one hour. This is what the Torah is saying about the Jews in the desert. The years that mattered to the destiny of the Jewish people were up to and including year 2 after leaving Egypt and year 40. The intervening years were unimportant. Year 2 merges with year 40 and that is the continuum of time. I have a friend who I did not see for 30 years. He moved on to Israel, married, had kids, etc. When I first met with him after the 30 years absence. I was looking for that youthful person I knew from 30 years earlier. I did not see it in him and I could not relate to my friend. I wondered what happened to the young man I met and it bothered me. We were sitting together the last time I was in israel and he sang. He was a Chazzan and only then was I able to see the same person from 30 years earlier. Time merged and the 30 years dropped out of the time continuum. This coming Wednesday, Tamuz 11, is my father’s Yahrzeit. I did not see my father from 1970 to 1994, for 24 years. I spoke to him on the phone but it was not a relationship. My mother was very angry that I went to visit, but it was something I had to do. On January 17, 1994 when I knocked on his door, and for the next 8 years I went twice a year to visit him we did have a relationship. I was with my father from the date I was born in 1953 to 1970, then from 1994 to his death in 2002. 1970 merged with 1994 and it was a continuous relationship. The distance of time did not matter. It was an entire lifetime. The 24 years just dropped out of the timeline. This is what observation 1 in communicating. At times life truncates, years merge, and intervening years drop out because they do not matter to the relationship. I believe similar to Yaakov our forefather. My years may be off, but he leaves his father at age 58, comes back to his father at age 94, is with his father for 15+- years, goes thorough suffering when his son, Joseph, is gone for 22 years, reunites with Joseph at age 130. It is a great life, the bad times are gone and it is glorious life bound together by the times he spent with his father and with Joseph in peace and harmony.